NEW YORK 14 JULY 2016 – Approximately two-thirds of men, women, boys and girls in countries where female genital mutilation is common say they want the practice to end – according to UNICEF data. In countries with available data, 67 per cent of girls and women and 63 per cent of boys and men oppose the continuation of the practice in their communities. In Ethiopia, despite a steady reduction in FGM/C nationally over the past decade, still 23 per cent (nearly one out of four) girls between the ages of 0 to 14 undergo this practice (Welfare Monitoring Survey (WMS) 2011). According to the same source, FGM/C is practiced across all regions in Ethiopia with varying degree with the prevalence in Amhara (47 per cent), Benshangul-Gumuz (24 per cent) and Tigray (22 per cent), Oromia (17 per cent) and Harari (14 per cent). The regions with the highest prevalence rate are Somali (70 per cent) and Afar (60 per cent). The impact of FGM/C in these two regions is severe as the two regions practice the worst form of FGM/C which involves total elimination of the external female genitalia and stitching, just leaving a small opening for urination. 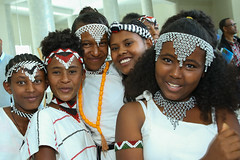 The Government of Ethiopia has taken strategic and programmatic measures to eliminate FGM/C. Some of the key actions include; endorsement of the National Strategy and Action Plan on Harmful Traditional Practices against Women and Children and communication strategy for social norm change and establishment of the National Alliance to End Child Marriage and FGM/C. Moreover, the Government has shown a ground-breaking commitment to end FGM/C and child marriage by the year 2025 at the London Girls’ Summit and reinforced by setting a target to reduce the practice to 0.5 per cent by 2020 in the Growth and Transformation Plan II (GTP II). UNICEF is supporting the Government of Ethiopia in developing a roadmap which defines the long term strategic and programme interventions and the role of different actors, strengthening the National Alliance through supporting the establishment of functional secretariat, enriching the Ethiopian Demographic and Health Survey (EDHS) module to include better data and organization of consensus building sessions with religious leaders in collaboration with UNFPA and other Alliance members. 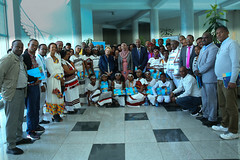 UNICEF and UNFPA have been working hand in hand for many years in Ethiopia for the abandonment of FGM/C. One of the exemplary programs that can be sited is the joint programme on accelerating the abandonment of Female Genital Mutilation/Cutting in Afar Region. The program has a social mobilization component which includes; training of community dialogue facilitators, facilitated community dialogue, working with religious and clan leaders, youth dialogue targeting in and out of school girls and a care component which involves tracking cases of complications with linkage to health facilities. Also, improving enforcement of the law through increasing legal literacy, strengthening special units in the law enforcement bodies for better reporting and management of cases. The programme has recorded pronounced success in facilitating declaration of abandonment of the practice in 6 districts in Afar Region, and eventually expanding to other districts in Afar and other regions. 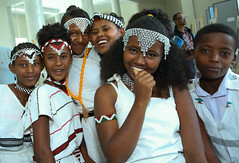 The Government of Ethiopia has made a commitment to eliminate child marriage and female genital mutilation/cutting (FGM/C) in Ethiopia by 2025. 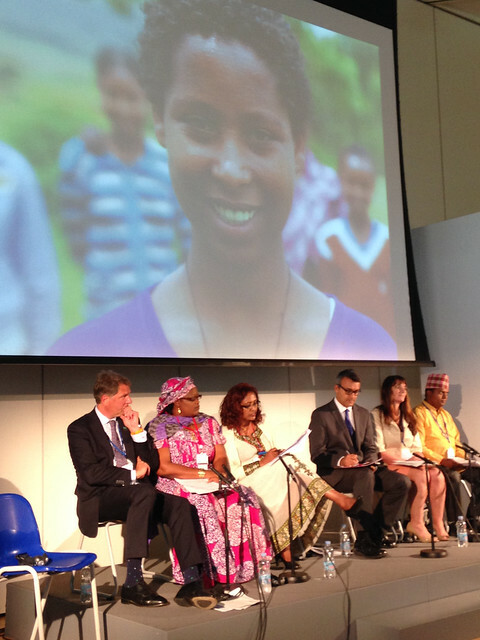 His Excellency Deputy Prime Minister (DPM) Demeke Mekonnen announced a package of action at a global summit in London, hosted jointly by the UK government and UNICEF. 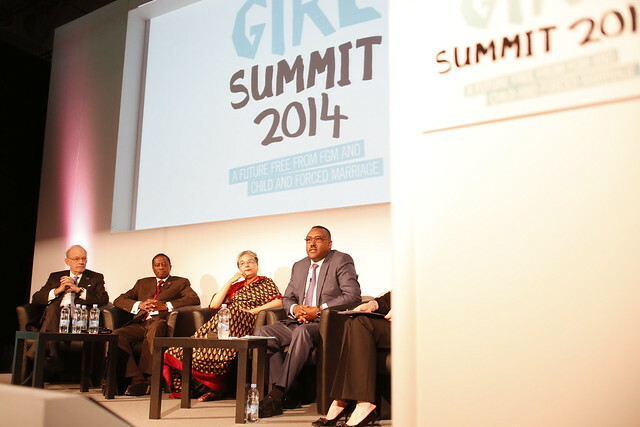 World Leaders from across Africa, South Asia, the Middle East and Europe attended the first Girl Summit on July 22nd 2014. His Excellency DPM Mekonnen was speaking as part of a round-table discussion that included the Executive Director of UNICEF, Anthony Lake and the Commissioner for Social Affairs at the African Union Commission, Mustapha Sidiki Kaloko. And, through an increase of 10% in financial resources to eliminate FGM/C and CEFM from the existing budget. The Minister of Women, Children and Youth Affairs, Her Excellency w/ro Zenebu Tadesse spoke about some of the achievements Ethiopia has made in recent years. She said the national rate of FGM has decreased by half among girls aged 14 and under, from 52% in 2000, to 23% in 2011 and the national prevalence of child marriage has declined from 33.1% in 1997, to 21.4% in 2010. The Summit brought together young people, community members, activists, traditional and faith leaders, government and international leaders, experts and champions committed to the rights and empowerment of women and girls. Attendees heard from girls and women who have lived through child, early and forced marriage and FGM/C, and from inspiring individuals who are now campaigning for change so that others can enjoy greater opportunities in the future. 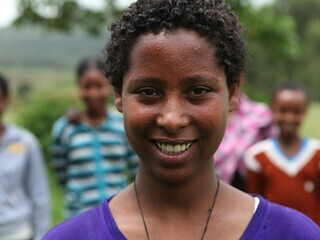 14-year-old year-old Yeshalem from the Amhara region of Ethiopia underwent FGM/C when she was aged three – and shortly after, she was married to a man 15 years older than her. Her father tried to marry her again, but Yeshalem told her teacher and eventually her father allowed her to continue her education. Yeshalem is now in a girls’ club that empowers girls to involve teachers and the police when they hear about threats of child marriage.